Force plates, sometimes called force platforms, are force measuring instruments designed to provide a working surface sensitive to the applied force. They are frequently used to study, diagnose, and treat various disabilities affecting neurological motor control, walking gait, running gait and postural stability in humans as well as in animals. Applications for multi-axis force platforms are found in clinical gait, posturography, sports medicine, athletic performance, rehabilitative medicine, orthopedics, prosthetics, and ergonomics as well as in gait analysis of animals. 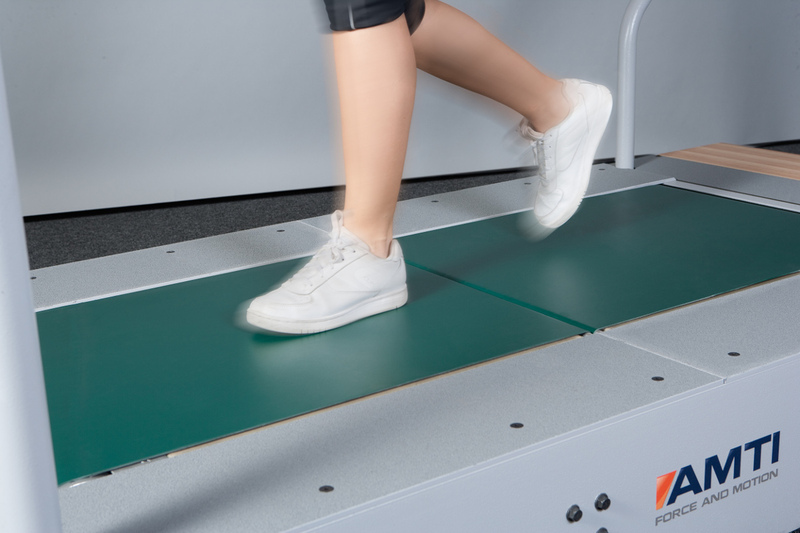 For example, sports injury prevention and performance improvement studies are often performed using biomechanics force plates for jump landing and cutting investigations, as well as instrumented treadmills for analysis of running gait. All of these applications depend on the accuracy of the force plates. An apparatus will be developed to apply known force and moment inputs to the force plate under various conditions. The motion of the force input apparatus will be recorded using 3D motion capture and the reaction forces and moments (Fx, Fy, Fz, Mx, My, and Mz) will be collected from the force platform and analyzed for accuracy and other performance metrics. This collaboration project ended successfully.